Oyster House, which opened in 1969, has been a mainstay of Philadelphia’s dining scene for decades. Sam Mink, the third generation owner, was eager to freshen up the space and requested elements with a timeless feel. First up: Provenance fabricated and installed a bar made of gleaming Georgia Cherokee marble. It serves as the centerpiece of the restaurant where patrons gather for cocktails and watch chefs prepare fresh seafood from the raw bar. The domestically quarried material was once at Philadelphia’s Independence Mall, steps away from the Liberty Bell. 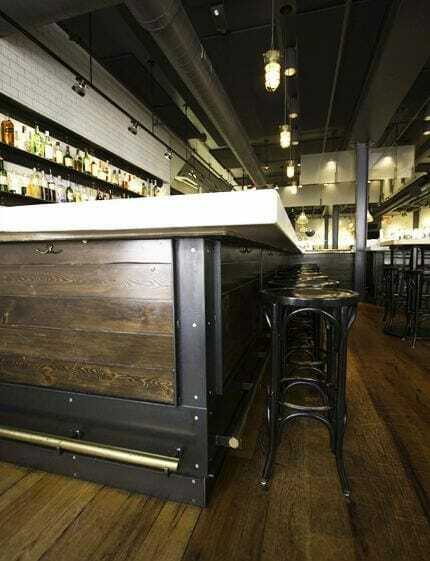 Provenance also transformed white oak trusses from The Academy of Music into flooring and added a custom finish. 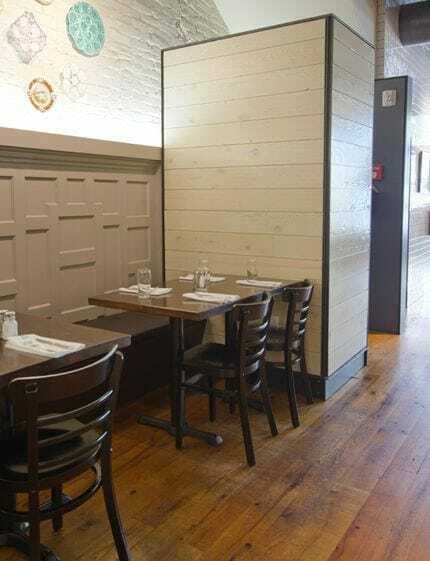 Wood paneling that runs along the back and side walls was re-milled to specification from hemlock joints salvaged from an early 19th-century Philadelphia row home. 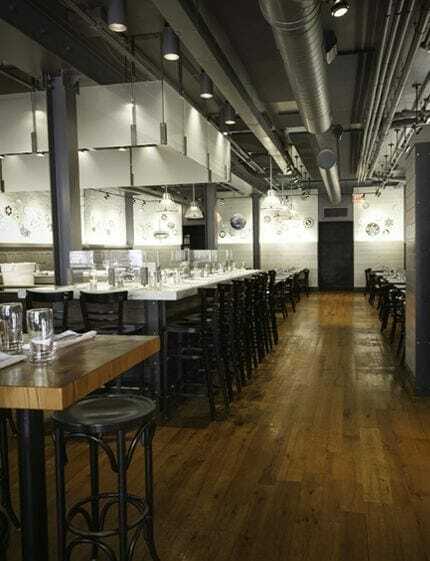 Provenance teamed up with a craftsman to fabricate high-top tables out of reclaimed end-grain heart pine from Riverton, N.J.
BACK TO FEATURED PROJECTS Bedminster, N.J.